news Labor has fired the first shot at Malcolm Turnbull in what looks set to become a war between the major parties on who can develop the best innovation policy, announcing it will extend the HELP system to allow university students to take 12 months after their degree to launch their own startup. This morning Opposition Leader Bill Shorten will join with Shdadow Treasurer Chris Bowen and his Shadow Parliamentary Secretary Ed Husic, as well as Shadow Communications Minister Jason Clare, in an event to be held at Sydney startup co-working facility Tank Stream Labs to announce the first tranche of Labor’s new innovation policy. The move represents Labor’s first attempt to take control of the narrative around what new Prime Minister Malcolm Turnbull has dubbed his approach to developing Australia’s economy into a more ‘agile, innovative and creative’ system. Turnbull has already taken a number of steps to spark change since seizing the Prime Ministership last week, including appointing Queensland MP Wyatt Roy as Assistant Minister for Innovation, tasked directly with engaging with the startup sector. 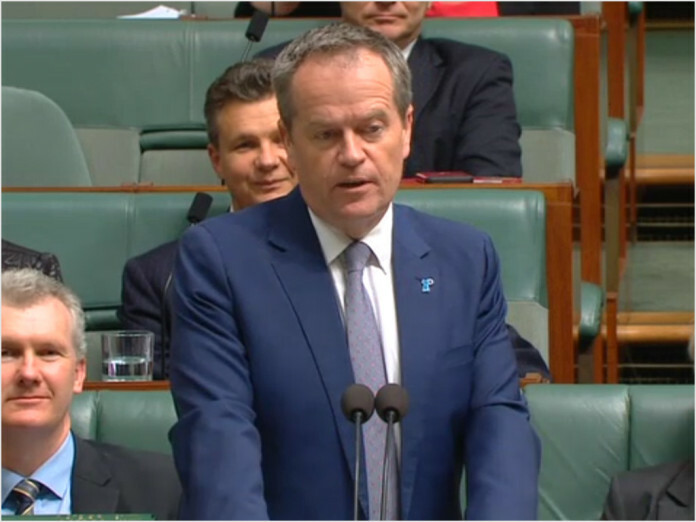 In a statement associated with this morning’s launch, Labor said its so-called ‘Start-Up Year’ would help build a culture of innovation and creativity in Australia by allowing students to test their ideas, gain business knowhow and connect with mentors and investors. By expanding the existing income contingent loan system (HELP) — usually used by students to defer their university costs, Australian students under Labor would have the opportunity to undertake an additional business-focused year of university and develop their ideas into a start-up business. The entire initiative would cost about $5 million. Labor’s Start-Up Year will be available to 2,000 students each year who want to establish a start-up within a university (or similar) accelerator or incubator, which will help the founders through mentoring, business skills and capital. Delivering this within the existing HELP system would present a Start-Up Year as being a continuation of study. A number of universities already offer students venture accelerator programs — this effort would help support and expand that ecosystem. The loan will cover the cost of the support provided to them by an accredited accelerator program and accredited non-award programs and initiatives, up to the maximum annual student contribution level under the HECS system (the new 2016 level is $10,440). Labor said the new approach would grow Australia’s pool of young entrepreneurs, help drive innovation and grow the ‘much-needed’ links between universities and the start-up community, encouraging universities to draw in private sector mentors and investors. The party believes that over time, the program will drive a competitive market as education institutions seek and develop the best talent and draw in private sector mentors and investors. It believes this will improve collaboration between universities and the investment and technology sectors and strengthen Australia’s entrepreneurial ecosystems. As a result of working with higher education institutions, Labor believes tech entrepreneurs and investors will be better placed to identify opportunities for commercialisation of university research, while building these links will make it easier for potential entrepreneurs within universities to seek out business opportunities. Over time, Labor believes it will be able to build a stronger risk-taking culture, leading to more innovation and higher productivity in the economy. Labor said the plan would build on its existing policy for universities, as well as its prior commitment to Science, Technology, Engineering and Mathematics (STEM) study announced in the 2015 Budget Reply. This move represents one of the first actual policies that we’ve seen coming out of either of the major parties relating to the much-hyped ‘innovation economy’ area — which so far has largely meant Australia’s fast-growing technology startup scene. Overall I think the policy is a mixed bag. On the positive side, I do think the move will instantly help create more opportunities for young people entering the workforce. Early in your career is the ideal time to start a business — before you have the risk associated with a mortgage, a family and so on. You can make big bets at this point without losing too much. Labor’s policy will help expand the support ecosystem for students seeking to establish businesses straight out of university. Because it’s an expansion of the existing HELP system, universities know what to do here — they will use the funding to create new incubators and accelerators and expand existing ones. It’s precisely the kind of reform I like to see government pursuing — a natural expansion of an existing system to handle changing economic circumstances. The obvious criticism of the program is that it’s way too small. $5 million is really a drop in the ocean to start addressing a trend that is changing Australia’s entire economy, and will do so further over the next several decades. If Labor is serious about this, then it needs to throw a substantial amount of cash in — I’d say something like $50-$100 million to start with – and start pushing the hell out of this idea. Right now Australia has an unprecedented opportunity to create a huge wave of innovation through a new generation of entrepreneurs and innovators. $5 million is a start, but it’s not going to truly accelerate the wave of change that is coming. To do that — which involves creating cultural change in the minds of university graduates, most of whom are looking to go straight into a safe job rather than starting their own business — a lot more resources will be needed. If I was Labor I would be looking at tax changes as well. Why not tax businesses launched by university graduates differently for up to three years (the period where you broadly know a business will succeed or fail) until they get off the ground? The amount of tax revenue lost would be minimal, because these companies typically generate no profits anyway … but this kind of thing would stick a guiding flag post in the ground demonstrating what the Government wants university graduates to do after finishing their final year: Start new businesses that will grow larger. Overall policy rating: 7/10. Sound policy, but it’s a tiny amount of money, and there are other elements that could have made it more comprehensive. Cute idea, but why the focus on uni graduates? Many of the success stories are from those who dropped out early on or never went! I think it’s because Labor can tap into an existing ecosystem — startup accelerators at universities. To be honest, I think they’re right — it is logical, if you want to change the nature of the economy, to try and get to people when they’re leaving university. Much of their work habits will be shaped at that point. The real beauty of this idea is that the money gets paid back once you earn over a certain amount. The ATO starts deducting it. If they were offering grants to people, that’s basically dead money if the business goes belly up. It’s a pretty good start, but I agree with Renai, it’s only a start, they need to flesh it out and bulk it up a bit before the election. That’s the thing about startups and entrepreneurialism – it is high risk because most fail. Most successful entrepreneurs are serial failures – it takes them several goes before they get it right. Unless they’re playing with their own money, this can leave a lot of unhappy investors in their wake, which is precisely why startup incubators are such a specific and targeted area – normal loans from a bank are too onerous for risky entrepreneurial startups. To be honest, Australia’s entire culture is too negative for startups – most success stories I have heard come from people who were either already wealthy (self funded, or parent funded) or sociopathically irresponsible with other people’s money, and just got lucky. If you want startups that have breakout success, you have to accept the statistical probability that most projects will fail, so most of the seed money will be sunk. There is little reward to be gained without taking risks – you can’t play the ‘economically responsible’ card while creating a funding program for startup incubation. You work out what you’re willing to bet (lose) per year in such a program, accept that something exceptional only comes along occasionally, and be satisfied you are creating an environment and opportunities for that to happen in this country. Instead of running a country that crushes dreams and punishes failure relentlessly and indefinitely, where risk takers don’t have any choice but to go elsewhere to follow their dreams and all you’re left with are unimaginative cube farm workers and their bean counter overseers.